Disneyland Paris. It doesn’t quite have the same feel about it as the parks in Florida or California, does it? But why do we feel this way about the Disney magic which is only just across the channel from us? Many people feel that our French Mickey, Minnie and friends lack a certain je ne sais quoi, namely customer service, value for money and well-kept parks. Whilst it may well be true that some people have had not-so-great experiences in the parks, there are still some excellent reasons to be cheerful in the happiest place on earth – or at least the happiest place in France! If you look up a standard Disneyland Paris package staying on-site, you may be reeling at the cost of a short stay at the parks. It’s true that the Disney hotels are rather pricey, and are often felt to be of poorer quality, too. But if you stay off-site, in nearby Val d’Europe, for example, you can get a better quality hotel for a much more reasonable price. What’s more, with a direct rail connection from Val d’Europe to Disneyland Paris, Daddy Hatchy has also always maintained that it’s quicker to get from the off-site hotels to the magic than it is to walk from Disney’s on-site Newport Bay Hotel! We’ve stayed off-site three times, and particularly liked the Relais Spa Chessy Hotel, which offers guests a kitchenette in every room and a hearty breakfast (the best we’ve ever had in France!). There’s also an adults-only spa, which was much appreciated after a busy Saturday in the packed parks, although many parents – ourselves included when the Little Lighty eventually makes their appearance in the next few days – admittedly wouldn’t be able to take advantage of the spa facilities with small children in tow. Better take the grandparents with you for babysitting duties! 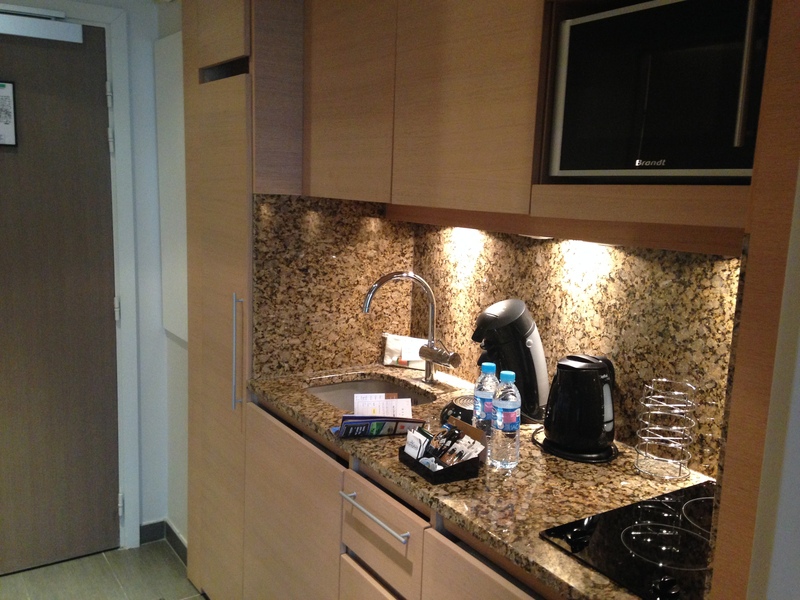 All rooms at the hotel come complete with kitchenette, great for young families or self-catering to keep costs low. Or even just a cuppa after a long day in the park! The park tickets needn’t be pricey either; Mrs Lighty’s top tip if you’re going to Disneyland Paris for more than a day or two is to buy an annual pass. This may seem like an extravagance, but when you consider that an annual pass is often only €30.00 or so more expensive than a 3-day Hopper, and you have the added benefit of, amongst other things, 10% off in the restaurants, 20% off in the shops, and free car parking, you’ll often find that you’ve more than recouped the difference after just one meal and one day’s parking. Plus you’ll have the benefit of all year round magic! Just bear in mind that if you’re staying off site, you will be better off buying the top priced annual pass, Disney Dreams, as this allows year-round access to the park with no blackout days. 2. It’s just a Hop, Skip, and a Eurotunnel away from the UK! One of the best things about Disneyland Paris, of course, is its proximity to the UK. No 9 hour flight to Florida, or 11 hour flight to California! In fact, from the Eurotunnel terminal at Calais, it’s just under a three hour, straightforward drive. Furthermore, and sorry to harp on about value for money, but if you’re a Tesco Clubcard Member, you can often use your vouchers to pay for the crossing. Alternatively, why not think about travelling by Eurostar (one of Mrs Lighty’s favourite ways to travel, as it feels so luxurious!) or fly to Paris and take one of the train connections out to the parks? 3. The Customer Service isn’t all Bad! For every report of bad customer service in the park, I believe that there is a good customer service experience to counteract it. From the cast member that posed with Mrs Lighty’s 29-year-old 5’2’’ brother and the measuring stick for Autopia, through to the waiters and waitresses in the restaurants, who will often go out of their way to make your meal more enjoyable. Is Mrs Lighty’s brother tall enough to go on Autopia?! For example, at 5 weeks pregnant, I asked the waiter in Annette’s Diner if I could have my burger without the bun (being gluten free), and without the coleslaw and brie (pregnancy no-nos). The waiter didn’t bat an eyelid, as he wrote all of my requests down, and neither did the waiter in the Rainforest Café when I sent my slightly pink ribs back for more cooking at 11 weeks pregnant – although he was concerned that the resulting returned ribs wouldn’t be as nice as they would have been slightly rare! 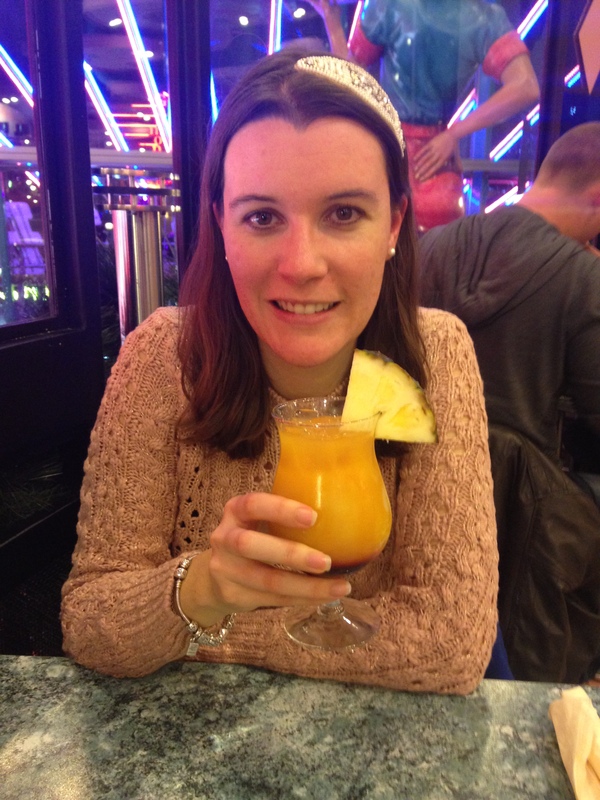 Enjoying a virgin cocktail in Annette’s Diner at 11 weeks pregnant! We’ve always had better customer service in the restaurants in the Disney Village rather than in the fast food outlets in the park, so if like Mr and Mrs Lighty, the dining experience is all part of your overall enjoyment of the holiday, head to the village. One of our best visits was during Halloween. If you can, go during a holiday celebration, such as Halloween or Christmas, as the parks will be dressed accordingly, and there’s often lots of little extra touches taking place to capture the holiday spirit, such as specially dressed characters giving out sweets or specialist parades. 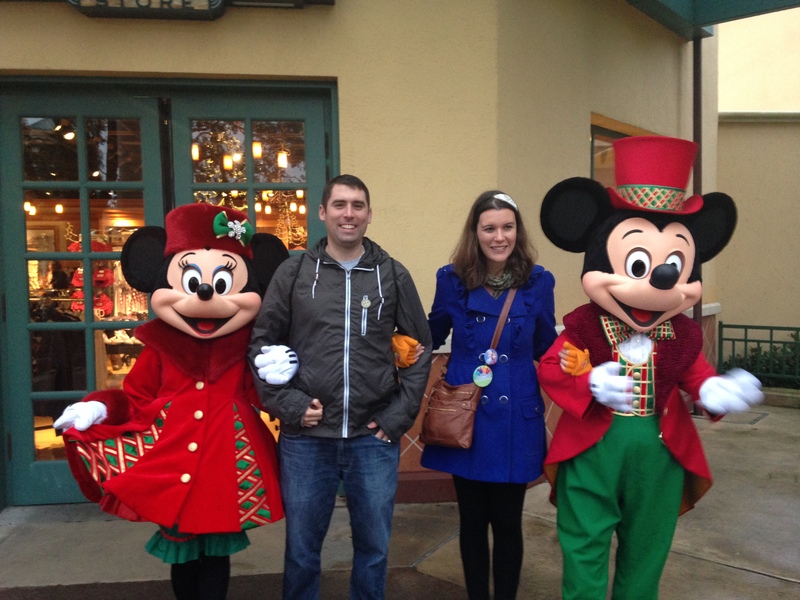 Meeting Mickey and Minnie, all dressed up for Christmas! 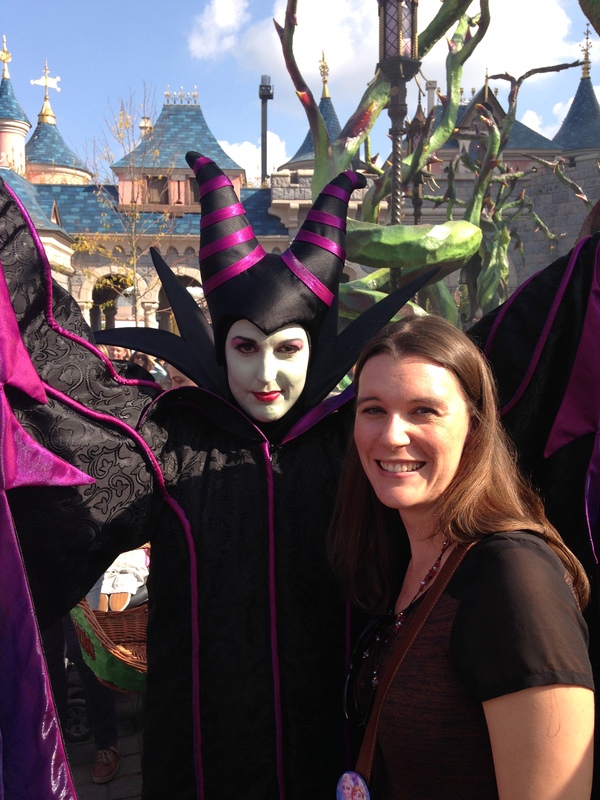 Halloween was beautiful with its rustic harvest moon theme, and we also got to meet characters that we wouldn’t have met otherwise, such as Maleficent (one of Mrs Lighty’s favourites! ), Jack and Sally Skellington and Snow White’s wicked witch. Could make for some great additions to your child’s autograph book! The park dressed for Halloween. 5. No Matter how Big a Kid you are, you can’t Escape the Disney Magic! And this is the main point, isn’t it? Yes there are often reports of rides breaking down, but then I’ve spent a day in Disneyworld’s Magic Kingdom in Florida whereby Pirates of the Caribbean and Great Thunder Railroad had broken down, so it’s not isolated to Paris. 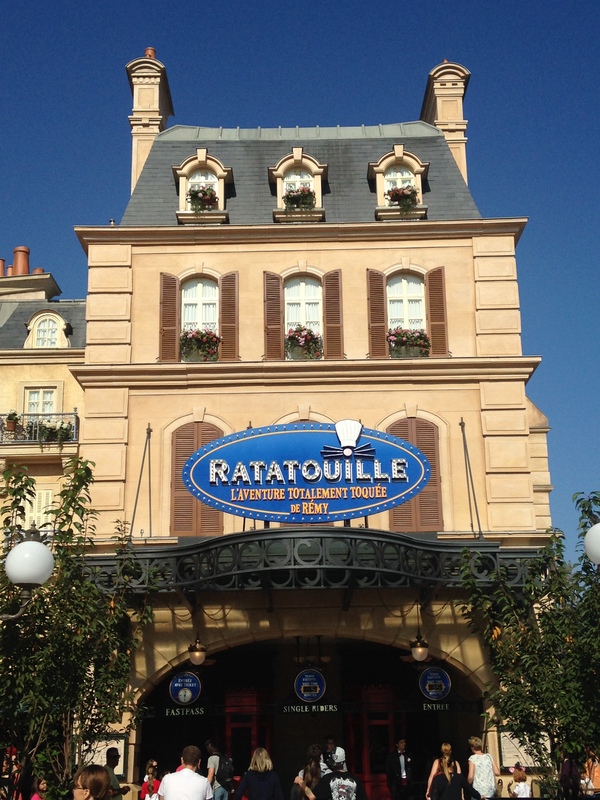 You’ll also find that there are rides and attractions in Paris that you simply won’t find anywhere else, such as Crush’s Coaster and Ratatouille: L’Aventure Totalement Toquée de Rémy, and Mrs Lighty saw the talking trash can the last time we visited, which you’ll apparently never see again in the American parks! So why be so down on Disneyland Paris? 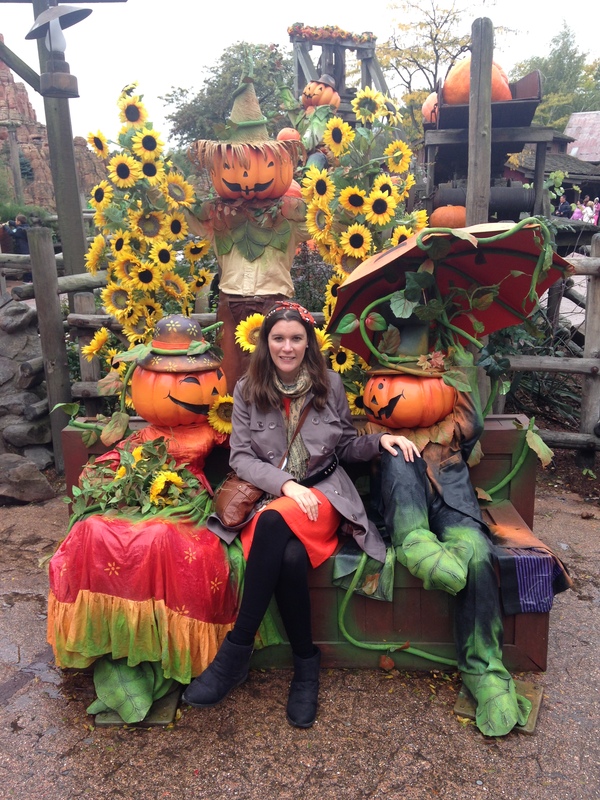 Just enjoy the magic and embrace your inner big kid, as there are certainly reasons to be cheerful! Enjoying the magic and being cheerful! 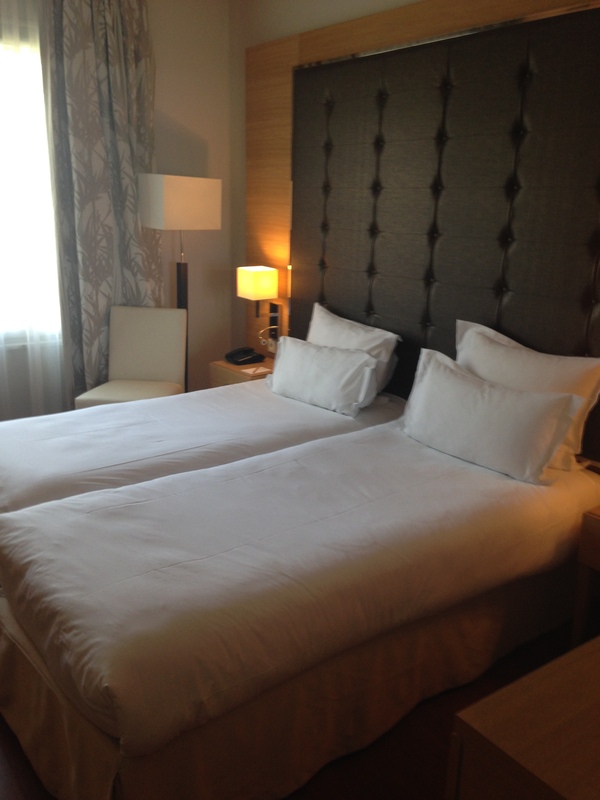 This entry was posted in Autumnal Breaks, Celebration Holidays, Christmas, Disney and tagged Budget Breaks, Christmas, Disney, Disneyland, Disneyland Paris, France, Paris, Relais Spa Chessy Hotel, Val d'Europe. Bookmark the permalink. I’ve been to the Florida, California & Paris parks, and while the ones in the US are a different calibre, DLP still has a special place in my heart 😊 loved this post! 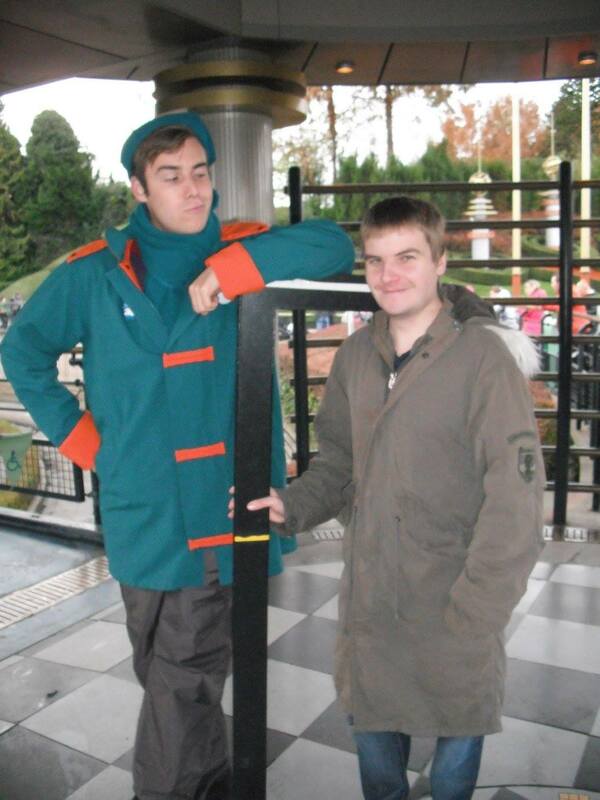 I applied for a job at Disneyland Paris when I was a student, but never made it to the interview, as I broke my leg! Thanks for the reminder – we’ll definitely consider it as an alternative to Florida for the kids. Great post, we went for 1 day last year and are hoping to return for a longer stint sometime soon so will keep this bookmarked. 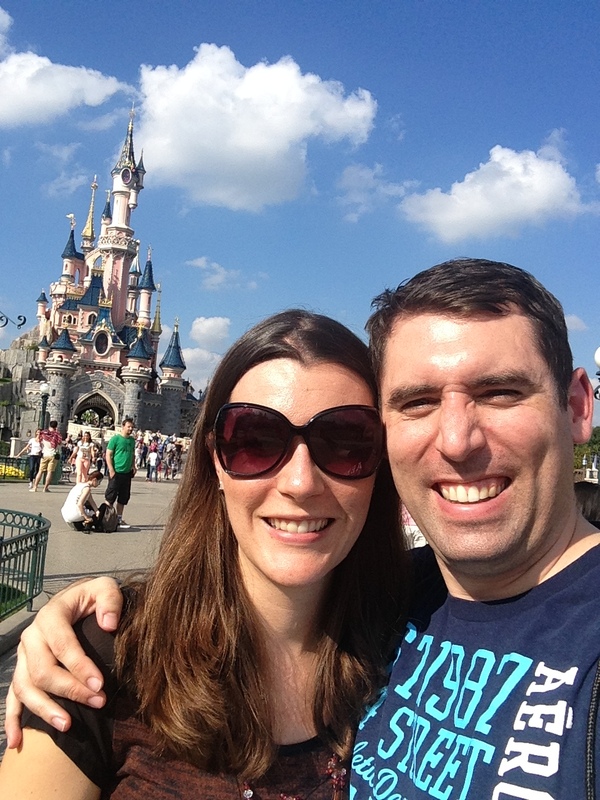 We took our son to Disneyland Paris when he was 4 – it was the perfect size for him. We are returning to Europe for Spring Break this year, and I plan to take my 7 year old daughter there – I think it will be wonderful for her, as well ! Love that place ! Ah I’m glad you enjoyed it! You’re right about the parks being a manageable size too, hadn’t thought of that. Enjoy when you return! !